Gentle Giants are in need of loving homes. Over 500 St. Bernards have been rescued and placed through Sin City Saint Rescue. Yes, Virginia, there ARE St. Bernards in Las Vegas! 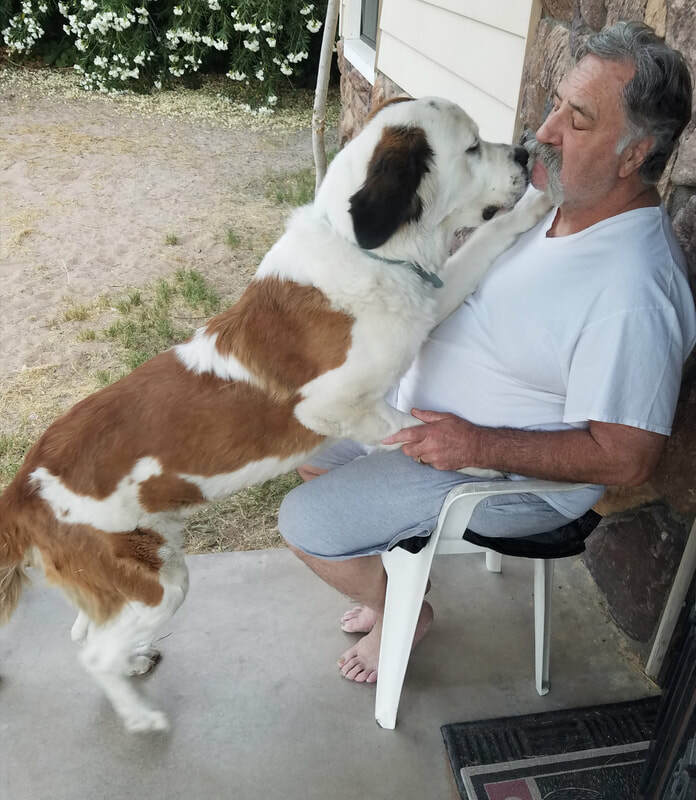 According to Ashwell, "Many people think that St. Bernards shouldn't be in Las Vegas, but the fact is that they are here, we don't bring them here! Most of the rescues are turned in by someone who purchased an adorable, cuddly little puppy and when he got big they didn't want him anymore." Oftentimes, when asked the reason they want to give up the Saint, people will say "Because he got too big." I want to ask them "didn't they tell you he was a St. Bernard when you purchased him?" For those people who love and appreciate the breed, they know that when a St. Bernard grows up he is now just a big, cute cuddly dog who wants and needs a loving family. A special Thank You to the volunteers who come to Adoption Events and help with the Saints, and provide information to those who are interested in learning about our breed. 1. 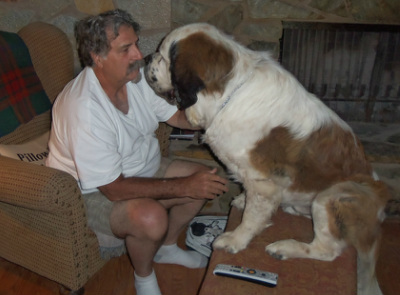 To increase the number of St. Bernards saved from euthanasia. 2. 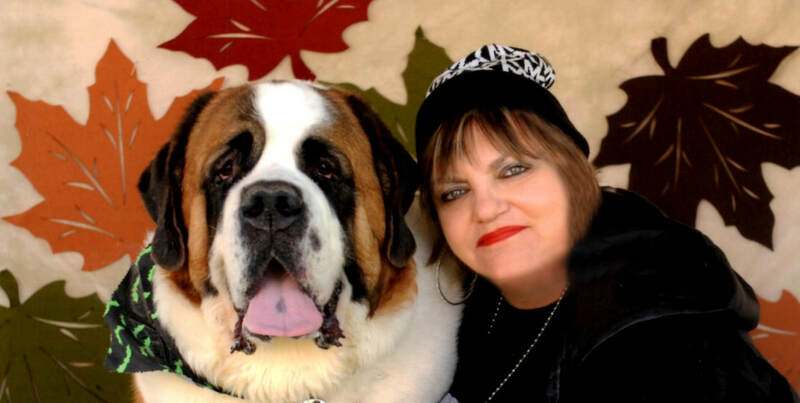 To educate the public about the care and needs of St. Bernards. 4. To provide support for dogs with special needs.